Understanding our current Real Estate Market. Buying foreclosure properties is not all that it's cracked up to be. Buyers are often under the mistaken impression financially distressed Real Estate can be purchased at prices significantly below fair market value. While that may be the case in the US where foreclosure laws are substantially different than in Canada, here you can typically expect to pay no less than 5% below market value, due mainly to the additional protections afforded to property owners under foreclosure laws in Canada. 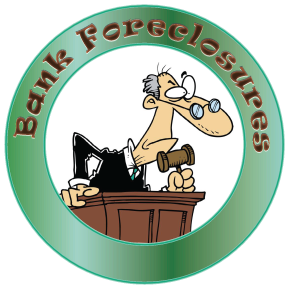 The process of foreclosure begins with the lender filing a "petition for foreclosure" asking the courts for a hearing to commence the foreclosure process in order to dispose of the property put up as security. The owner of the property, or borrower in default, has 21 days to respond to the petition after receiving the notice of the hearing required to be provided to them by the petitioner, after which a hearing will scheduled for the issuance of an "order NISI". This court order typically gives the owner about 6 month to either refinance or sell their property, the redemption period. As of recently, it also often simultaneously provides for an order for conduct of sale to be granted, which gives the bank the right to list the property for sale at a certain price, and at a given rate of commission, if the respondent borrower fails to solve the issue during the redemption period. In many cases the respondent (property owner) is not in a position to obtain financing elsewhere during the redemption period due to the credit and insolvency issues that have put them into foreclosure in the first place; often leaving the disposition of their property as their only option. The owner may also not have enough equity in their property to sell it either, with all the accumulated arrears, Real Estate commissions, and legal fees incurred by the bank, which are all the responsibility of the owner, in which case the process move to the next stage, the court ordered sale. Under a court ordered sale, or conduct order, the bank selects the Realtor and has control over the marketing process while the owner is typically permitted to remain in the property providing they do not interfere with the marketing process, otherwise the bank may also petition the courts for an order of possession, forcing the owner to move out. It is at this stage that the property enters the market as a foreclosure or distressed sale. Owners tend to be co-operative here in hopes of minimizing any potential shortfall of capital after the discharge of the mortgage, principle, accrued interest, and fees at the time of completion, as they will still be responsible for this deficiency. In some cases the owner knows the shortfall will be excessive and result in bankruptcy and insolvency. In these cases the chances of an uncooperative owner will be greater. Signs of damage to the home, a deliberate mess left behind, or difficulties in scheduling viewing appointments are typical signs of an uncooperative owner that should be well noted by anyone considering acquiring such a property through a court process because the banks will typically insist that an amendment be included in any contract to acquire foreclosure property that provides, among many other things, that the buyer will take responsibility for the condition of the property on completion. This is done since the lender does not have much control over what the current owner does there while still in possession. This deviation from the standard practice of holding the seller responsible for the condition of the property on completion often contributes to impacting the value of properties sold under foreclosure to the downside. A contract to purchase a property under foreclosure is typically submitted to the lender in charge of selling the property. It can contain conditions in favor of the buyer, will typically contain the aforementioned Schedule A, which should be studied carefully, and will also contain a condition in favor of the seller / lender, that the contract is subject to approval by the courts. Except in rare instances, all buyer conditions must be removed before the lender will schedule a court hearing for approval of the contract. Once a hearing is scheduled the interested parties will be notified of of the court date and will appear before a judge to have the contract approved. The judge may also invite other interested parties to make a competing offer at the time of the hearing, which is probably the most egregious aspect of the foreclosure process, and the primary reason for the price discount that can often be achieved when purchasing foreclosure properties - typically in the 5% range. Lately, with the lack of inventory, and generally overheated market condition, this discount has begun to narrow and is in some cases eliminated entirely. 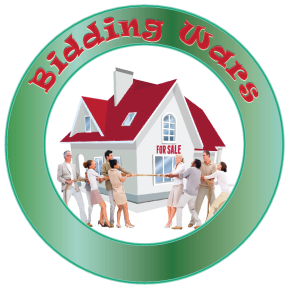 Bidding wars in court have become far more common. Once the sale has been approved by the judge issue an order transferring title to the buyer called a "vesting order". One important technicality of vesting orders that is often overlooked is that the property can only be transferred directly to the buyer named in this order at completion. No assignments or secondary transfers are permissible. It is therefore important to choose the entity that will eventually take possession of the property at the time of writing the offer. I have seen foreclosure cases for commercial properties where this has become a serious issue. Not all foreclosure properties are sold under this process, however. Banks have the option of applying for "an order absolute", giving the banks complete possession of the property. The banks are then free to sell the property to third parties without court approval. An order absolute is typically granted when the value of the property is below the value of the recoverable debt, meaning that no equity will remain for the original owner and secondary or subsequent mortgage holders when the property is sold. A secondary mortgage holder may opt to pay out the primary mortgagee at this point to take an order absolute possession of the property themselves, if they believe the property value can be improved. Banks also typically avoid this option if they believe they can sue the borrower for the shortfall as their right to sue the owner for the difference between what is owed and what is achieved at sale, also known as deficiency, is lost under this process. If the owner is also undergoing bankruptcy proceedings, and the chances of any recovery of the deficiency is small, the bank is more likely to proceed by way of an order absolute. Properties acquired by banks in this manner are typically sold at fair market value. No discount applies because the court process and other associated risk burdens to the buyer are eliminated. A further category of foreclosure sale that fall into a category similar to an order absolute sale are sales by government mortgage insurance agencies like CMHC and Genworth and AIG. These will take possession of the property under foreclosure from the petitioning financial institution when it becomes apparent that a deficiency will be incurred and the originally borrower has a mortgage insurance policy in place. The government agency will pay the borrowers debt to the financial institution, take possession of the property, and market the property conventionally. No discount applies in these instances to the buyer. In fact, Realtors in charge of marketing these properties on behalf of mortgage insurance agency are prohibited from making any reference to a foreclosure process, or distress sale, or to even mention the name of the mortgage insurer anywhere in the listing data, in order to avoid the impression that the property can be had below market value. The only exception to this will be a reference in the title document. Buying foreclosure properties can be a stressful proposition that may not resolve in a discounted price. Up front costs for property inspections, financing applications, appraisal fees, and other costs can be lost if a competing buyer steps forward, and the property may not be in the original condition on the possession date. The pressure, risk, and time involved discourages many from going through this process, especially for fist time buyers. Here is everything you need to know to win one. Bidding wars for Real Estate have become an almost unavoidable reality in Victoria over the past few years, much to the chagrin of buyers and the delight sellers in what has become known as the strongest Real Estate market in the history of Victoria. It all started when Vancouver buyers brought their Asian currency export dollars into Victoria along with market dynamics that have been the norm in Vancouver for well over a decade. Until 2014 a spread between the asking price of a home and a final sale price of more than $25,000 above was almost unheard of while spreads exceeding $200,000 were already the norm in Vancouver. Since 2015 bidding wars have almost become the norm in Victoria with the number of bidding wars with sale prices exceeding the asking price by more than $100,000 rising astronomically. Even spreads of $200,000, $300,000 or even $400,000 have since been registered in Victoria. Your first line of offense when entering this stressful arena is your buyer’s agent. You want to select someone not too timid who is well versed in the complex dynamics of bidding war politics, and with plenty of industry experience and a track record of winning multiple offer competitions. Ask for a bidding war transaction resume and a description of the tactics employed to win them. Your buyer’s agent will research and analyze recent sales of comparable properties to determine what your property of interest is likely to sell for. He will take current and most recent market activity into account. In a rising market your home may sell for 5% more than an identical property sold for a month ago. An experience and competent buyer’s agent will have a cutting-edge awareness of current market condition and provide you with accurate valuation advise. The next step will be to gauge the level of interest by the market in the competition property. Your agent will find out how many times a day the property has been shown by other Realtors or independent clients, if anyone has ordered a building inspection report, or in the case of strata properties, if anyone has requested to receive copies of the strata documentation package that will including things like things like strata bylaws, rules, financial statement, depreciation reports, minutes of meetings, etc. Building inspection orders and strata information requests are an indication of very serious interest by other competing parties, and a sign that competing parties are planning on presenting an unconditional offer. In today’s market the wining bid will, in most cases, be an unconditional offer, so any research respecting the suitability of the property will be done in advance by serious prospects. For this reason, the agent representing the seller should have a complete set of strata documents available for all prospective bidders before commencing the marketing process. I typically also advise my sellers to order and make available to prospective buyers, a building inspection report from a reputable inspector in conjunction to insure a maximum number of bids. Many buyers are reluctant to incur the expense associated with ordering such a report in a competitive situation for obvious reasons. When the seller order this report the related costs are only incurred once. Sellers typically achieve optimal results by ordering such a report; the concern by some that this could lead to the seller being liable for defects not discovered in the report are, in my opinion, completely unfounded. As Realtors we are obligated to recommend a building inspection report for every purchase, or risk being liable for any defects found after the fact, unless we have our clients sign a waiver that they are prepared to take the risk notwithstanding our advice. The truth of the matter is that these reports are really a bit overrated due to the costs to rectify the defects uncovered by them rarely exceeding the price of the report. This holds especially true for strata property where any costs associated with maintenance and repair of the exterior and building envelope is the responsibility of the strata and where minutes of meetings, the Depreciation Report and various other studies reveal much about the condition of the building. Even in the single-family home category, newer homes hardly ever harbour any surprises with modern building code regulations and oversight and with seller disclosure requirement and latent defect legislative provisions. Older homes should be examined more carefully, but a good Realtor can often tell if a building inspection report may be warranted or not. I’m told by building inspectors in Victoria that their business has dropped off dramatically in the past two years regardless of the increase in sales activity as a direct result of buyers forgoing them in bidding wars and offer competitions. As the offer deadline approaches your buyer’s agent will keep in constant contact with the seller’s representative to monitor the number of offers expected by the deadline, how many are expected to be unconditional, and to get as much information as possible about the competition. It is surprising how much information can sometimes be gleaned from the seller’s agent by asking the right questions in a strategic and tactical manner about the other offers. Typically, it’s easy enough to find out if competing offers are unconditional, if they meet the seller’s preferred dates, and if they are above or below the asking price, etc., though some agents are very tight lipped about everything under the mistaken impression that they are obligated to maintain absolute secrecy. It is not illegal or unethical at all for the seller’s agent to reveal information about any offer to other parties, providing it is in their client’s best interest. The final offer should incorporate all the intelligence gathered on marketing process and it’s results, be unconditional if possible, bear a large non-refundable deposit, typically in the $20,00 to $50,000 range for properties under $500,000 and $50,000 to $100,000 if the asking price is greater, and incorporate the sellers preferred dates for possession and completion of the sale. The price is a factor of the competition you are facing as well as the most recent comparable sales data, and will most likely exceed your expectations, so be ready to pay a bit more than you initially expect. Your agent should investigate with the seller’s representative if a “referential offer” would be considered by the seller. This is an offer where the price in your offer is relative to what your competition is offering that will contain the relevant clauses to reflect this, and provide that you will pay a fixed amount above the price of your highest competitor. I have found this to be a highly effective strategy providing the premium above the nearest competing offer is large enough. It should be at least $5000.00 to $10,000 for offers under $500,000 and $10,000 to $20,000 above as a general guideline. Agents and lawyers sometimes advise their seller clients against accepting such an offer citing litigation risk, but I believe this is unwarranted and rather a function of laziness on the part of seller representatives, as a properly structured, presented and managed referential offer can easily yield superior results for the seller in a bidding war without any risk of litigation whatsoever. Winning a multiple offer competition is both rewarding and exhilarating while being on the loosing side is not only extremely disappointing but also rather exhausting and discouraging and not something you want to go through multiple times. For these reasons the right agent and the right tactics and strategies are ever so important to greatly improve your odds. 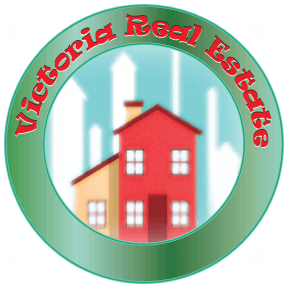 Understanding the Victoria Real Estate Market. The key to understanding the current Real Estate market cycle is by a comparison of the dynamics that precipitated the previous one of the 2000 to 2007 period with the present. Lending standards, interest rates and mortgage underwriting criteria became most favorable to home buying shortly after the collapse of the 2001 tech bubble in an effort by governments and the banking industry to prevent the economy from sliding into a recession, by an expansion of the money supply through consumer and corporate borrowing. Many other monetary expansion measures were implemented implemented also in hopes of preventing a recession or even depression level economic event that was sure to follow the correction in the stock market. Fractional reserve lending standards were eviscerated by clever new bank instruments like Collateralized Debt Obligations, (CDO's) and Credit Default Swaps (CDS's), and other credit derivatives that permitted banks to repeatedly sell loans to third parties in order to create new debt and turning existing debt into new cash reserves to circumvent the fractional reserve limitations that were designed to keep inflation in check, permitting them to cycle their reserves, virtually without limitations. The ensuing liquidity bubble then finally came to an end when consumer debt expansion had reached a saturation point whereby the origination of new debt could no longer keep pace with repayment of the gross aggregate existing private and public debt, causing a contraction in the M1 money supply and consequently a monetary recession. The book Manias, Panics, and Crashes, by the late Charles Kindleberger, illustrates this concept in detail. Once this inflection point had been reached an exponential decline in M1 money supply was sure to follow causing critical liquidity shortages that quickly spread throughout the financial markets and general economy, and that would have no doubt culminated in a wide spread collapse of the global financial system had the US government and other governments and central banks around the world not intervened with a massive financial bailouts that are indirectly the cause of the current stock market and Real Estate bubbles. Bailout funds provided to investment banks, various other financial institutions and corporations around the world and other such mechanisms of the quantitative easing program, spear-headed by Ben Bernanke in 2008, then of the US federal Reserve, and Hank Paulson secretary of the treasury of the US government at the time, provided the necessary liquidity to subsidize the various failing investments around the world that were the result of the abuses of the fractional reserve lending system of the previous cycle by the banks originating these new and now failing debt instruments, which according to Marc Faber, publisher of the "Gloom, Boom & Doom Report, had a notional value, that is original value, of 1.3 Quadrillion in US dollars, or 1300 Trillion. Quite a sum. These new bailout funds were then immediately invested into the financial markets via stocks, commodities, government bonds where they could turn a profit until needed to subsidize the failing loans and derivative instruments on the books of these various institutions causing what became known as the "stealth bull market" that is still in play today. These stock market gains soon found their way into the Real Estate sector where they quickly lead to dramatic price escalations with investors looking to diversity funds away from the increasingly diminishing dividend returns of stock market investments and risks associated with artificially inflated commodity investments like the risk demonstrated by the recent collapse of the energy sector. Of even greater significance is the role China plays in all this as a prime beneficiary of quantitative easement with it's vast holdings of failing credit derivative instruments from the reinvestment of a vast foreign exchange surplus connected with consumer debt explosion bubble of the previous decade. These funds are being funneled into the hands of a small upper class in China who have been exporting their holdings in vast quantities into safe Western jurisdictions where they are being invested into commercial and residential Real Estate. As a result all major North America cities have experienced Real Estate price escalations due to safe haven migration of funds from China; a trend that is now beginning to slow in consequence of changes to Chinese currency export regulations with effects seen in Vancouver and elsewhere in the form of a slowing Real Estate market long before the Property Transfer surcharge on foreign investment came into effect in that jurisdiction. To some extent major Real Estate markets in North America are now tied to the continued strength of the Chinese economy and ever tightening Chinese regulations on currency exports. In addition to all this excess liquidity we continue to see an influx of retirement and lifestyle based migration into Victoria from the rest of Canada, and more recently, following the election of Donald Trump, a growing trend of US citizens looking to escape their new political reality by coming to Canada. (Trump Refugees). Typically, only those Americans with existing status in Canada who actually buy Real Estate here with the rest typically giving up when they find out about Canadian tax laws on foreign ownership of Real Estate, or when they discover how difficult it is immigrate from the US into Canada, and that they can otherwise only stay for six months at a time. History has shown that the Victoria Real Estate market is generally impacted negatively by only two things; either a dramatic rise in interest rates, or a significant correction in the stock market. Additionally, I think it’s fair to assume that a collapse of the Chinese economy or further currency export limitations by the Chinese government would also have a large negative impact on Victoria Real Estate values. In the immediate term the two recent smaller rises in the prime rate, change to mortgage underwriting criteria, as well as the change in regional government to the NDP, recent provincial budget changes impacting Real Estate, and the uncertainties in US politics and geopolitical instabilities appear to have put a damper on our local market. Prices are not coming down by any stretch of the imagination but they appear to have stopped going up, at least for now. We are also seeing a shift in interest from single family homes into the condo sector in response to the impact of these changes to housing affordability, a trend that is expected to continue. Victoria has always been a desirable destination with a stable Real Estate market and the most diverse economy in the country, so until some geopolitical event or monetary policy inflection points brings about another stock market crash or dramatic rise in interest rates we can expect continued stability in the housing market.